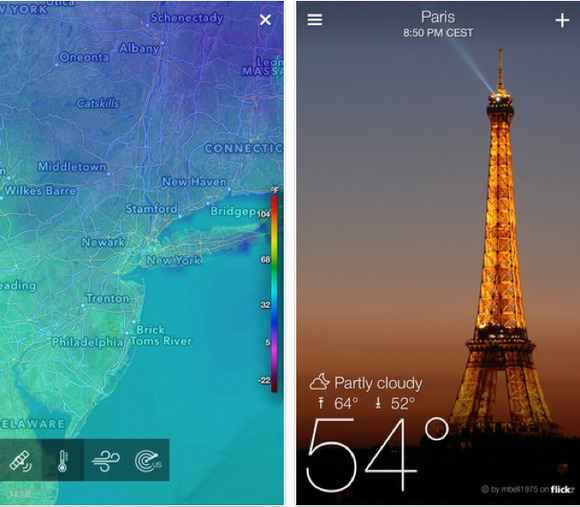 Yahoo's new mobile weather app incorporates photos from users on Flickr. The company, formerly one of Silicon Valley’s most esteemed tech players, has been under pressure in recent years to demonstrate its value to users as more people have migrated to mobile devices, social apps and social networks. Yahoo, unlike Google, Apple or Facebook, currently does not have any social network or smartphone of its own. Yahoo sees itself as being in the “second sprint” of its rebuilding efforts to win back users and increase its revenue, CEO Marissa Mayer said Tuesday during the company’s first-quarter earnings call. The first sprint was geared around improving Yahoo’s in-house talent, which the company has now accomplished, Mayer said. The new Weather and Mail apps, announced Thursday, are both designed to provide a clean, visually engaging and intuitive user experience. 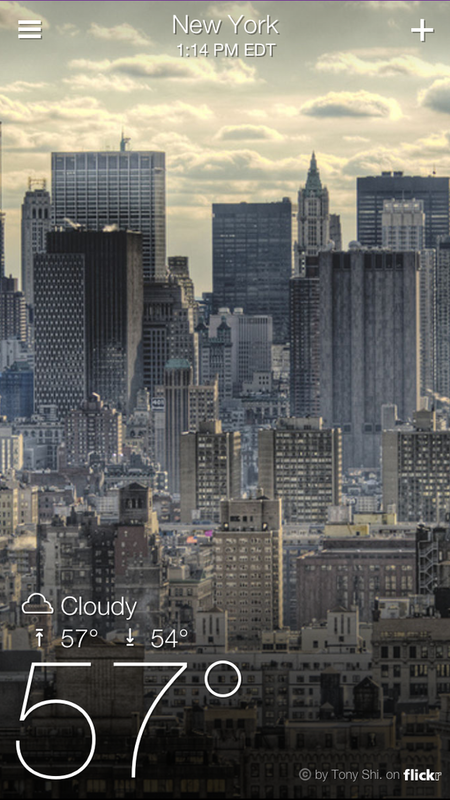 For instance, a big feature of the Weather app, which is available now for iPhone, iPad and iPod touch, is the full-screen photos it displays in the background taken in cities near the user’s location, which are supplied by users of Yahoo’s Flickr photo-sharing service. Meanwhile, the Mail app, which is available for iPad and Android tablets, is designed to “get rid of the noise,” Yahoo said, and instead provide a digital magazine-like interface in which users can flip through emails and delete, star or move messages with a simple swipe. 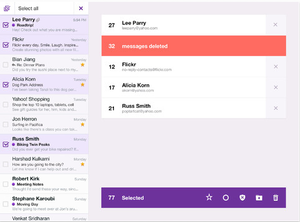 Yahoo’s Mail app is available for both Android tablets and the iPad (pictured here). “We’ve designed Yahoo Mail to take full advantage of the tablet making reading your email faster, easier and just a little bit more fun,” Yahoo said in a blog post. Reaction on Twitter to Yahoo’s new apps was somewhat mixed. 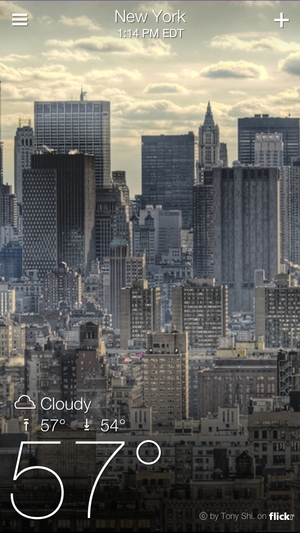 “The new Yahoo mobile weather app is the best looking app with the worst looking home screen icon,” one person tweeted.